Pre Composted Coco peat, Neem Meal , Kelp, Alfalfa Meal, Organic Chicken Manure, Rock Phosphate, Worm Castings. Builds awesome plants, It contains all the food to start a plant. You get a well feed seedling that will grow into a beautiful plant. 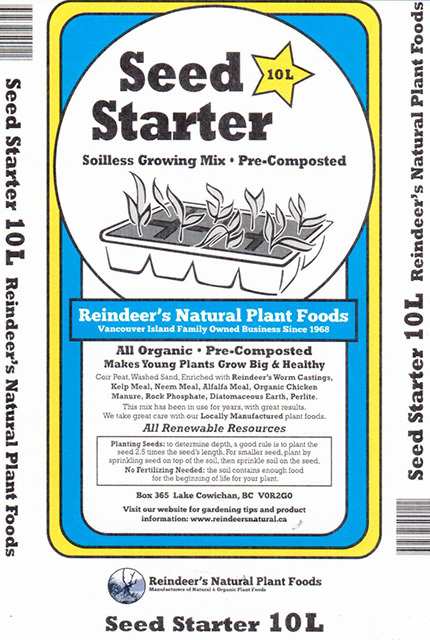 Commercial growers are using our seed starter, and Love it.